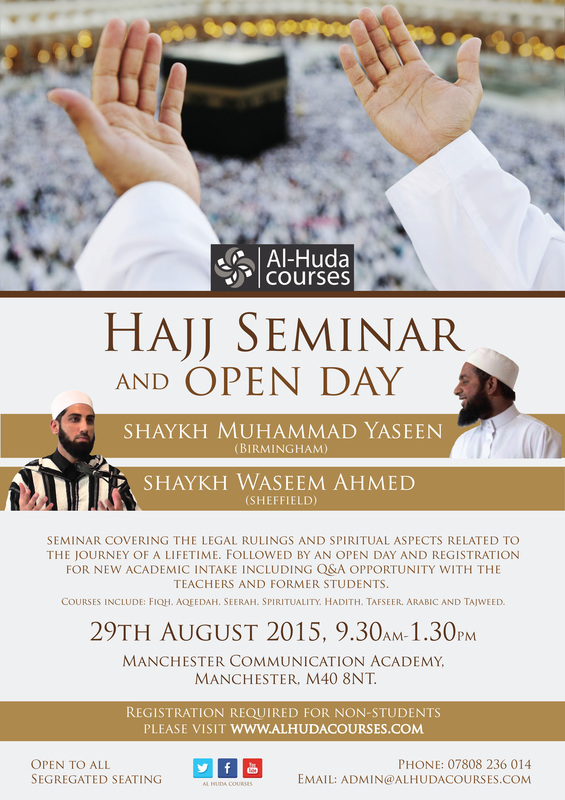 This seminar provides students with an insight to the laws relating to the prayer. Students will be provided with a detailed insight into the theory and practice of many different aspects of the prayer, including the different types of prayer. 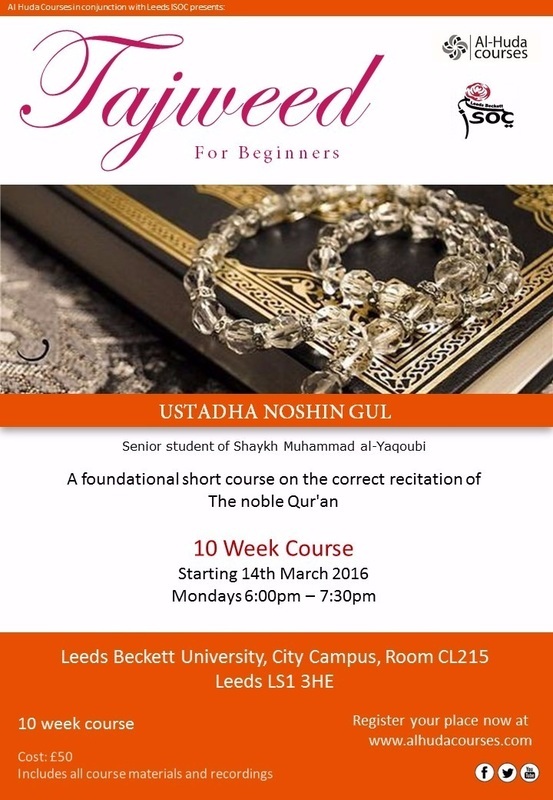 ​An introductory short course on the science of reciting the noble Quran. 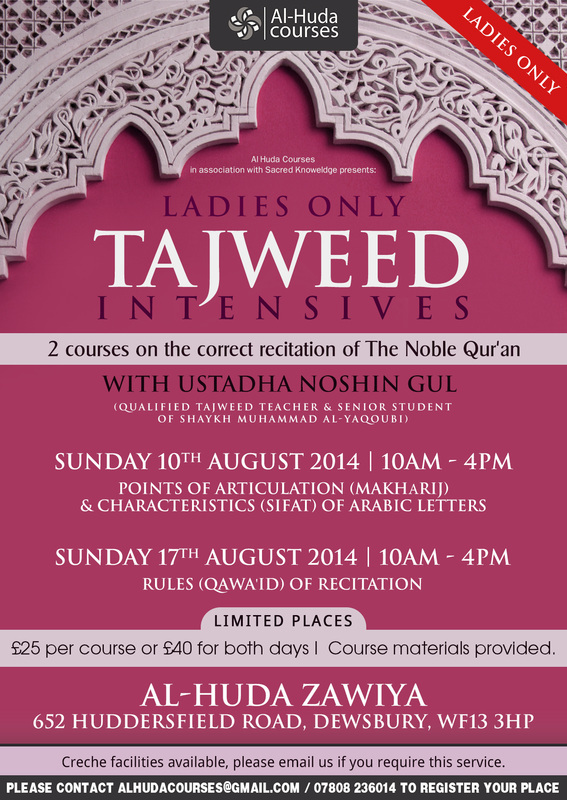 The course will focus primarily on the correct articulation of the Arabic letters as well as their characteristics, to enable students to pronounce the letters accurately; from the right articulation point and in the correct manner. 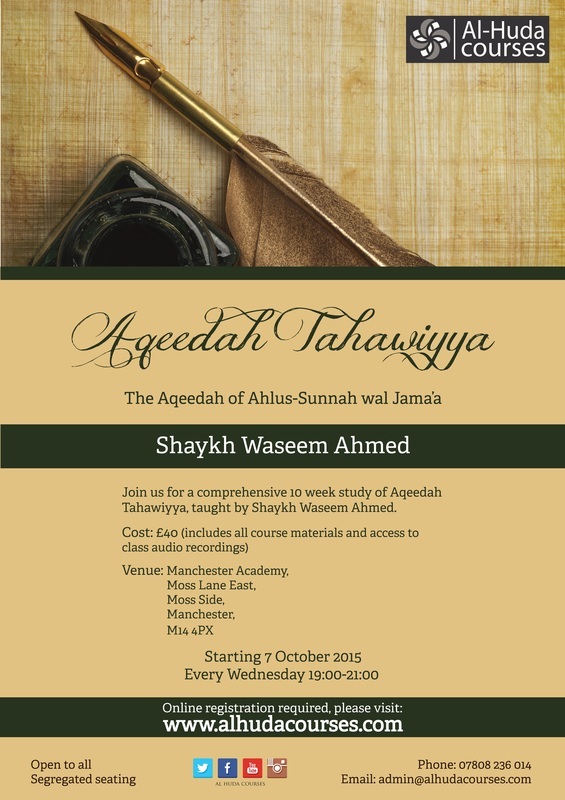 Completion of the course will provide students with a sound platform to further their Tajweed studies via entry on to the first level of the Tajweed Ijaza Programme. 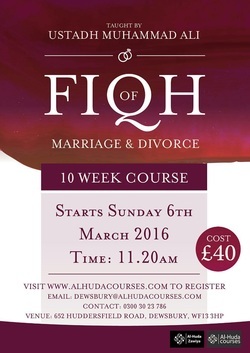 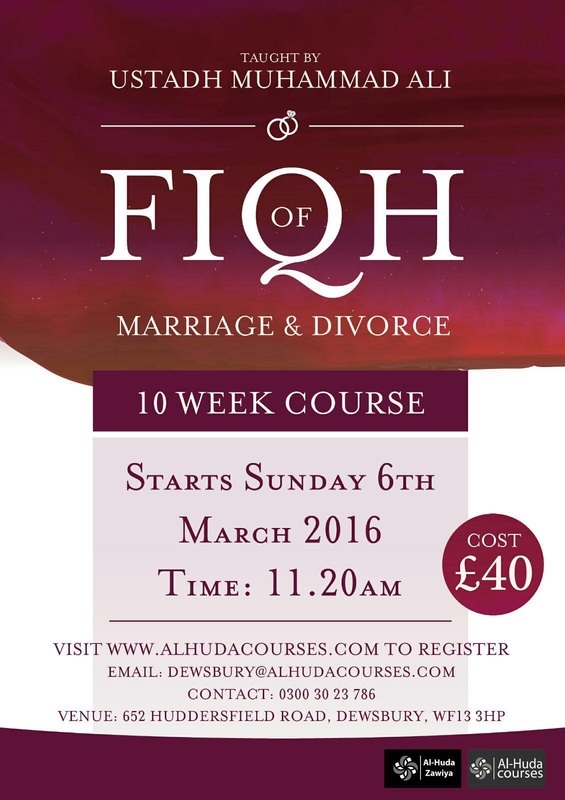 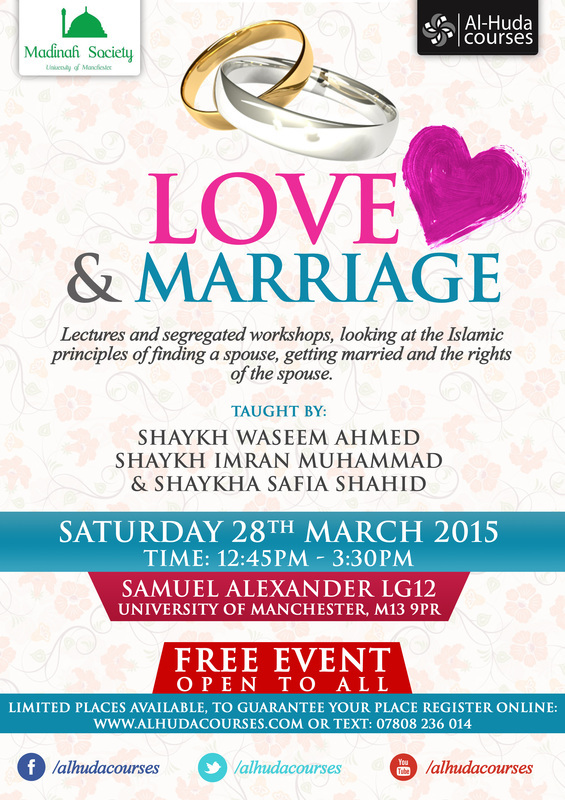 A much needed course on the essential topics of marriage and divorce. 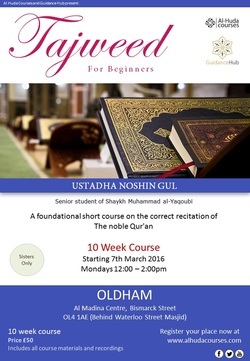 ​A 10 week course on one of the foundational texts on orthodox Sunni Muslim belief 3 main areas of beliefs: Divinity, Prophecy & Eschatology. 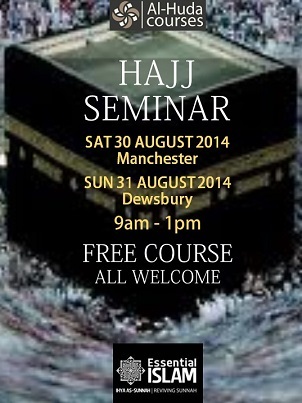 Two great free courses for those embarking on Hajj to help prepare for the journey of a lifetime. This courses was suitable for those who wanted to learn the rulings of Hajj and Umrah as part of their fard al ayn studies. 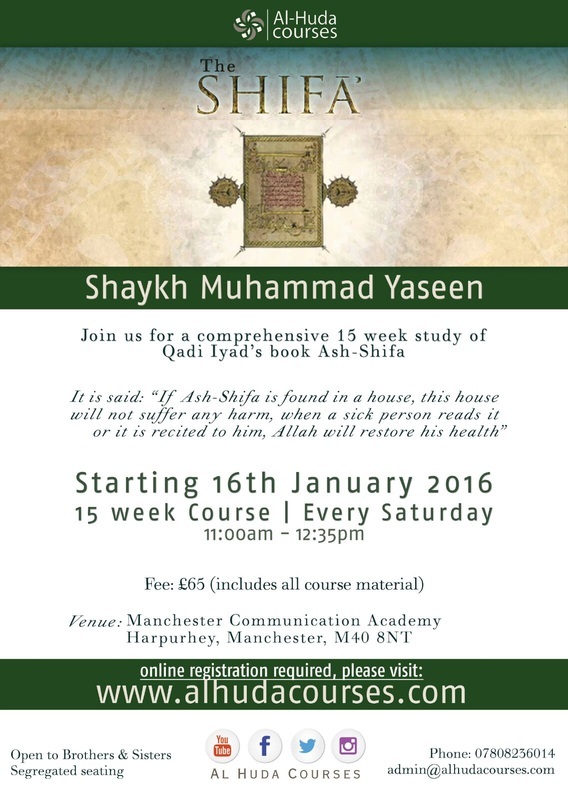 This course was developed using the traditional text by imam Jazari called The Jazariyyah. 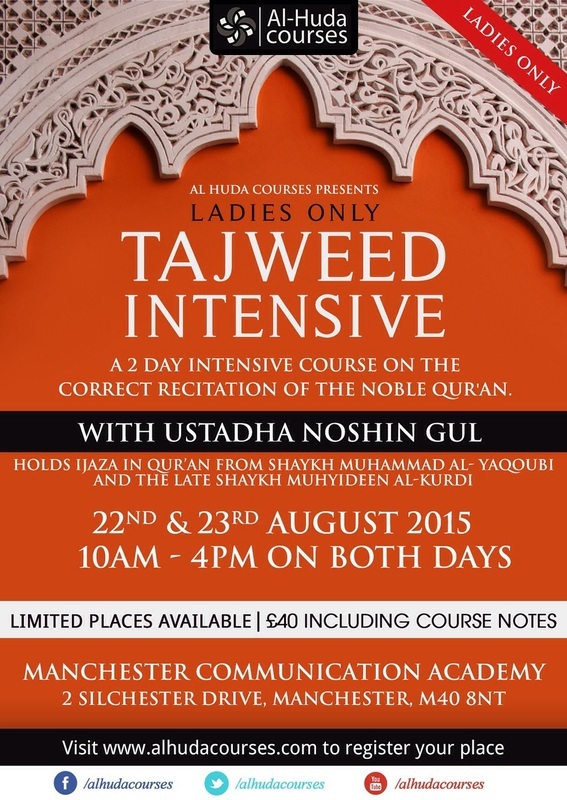 This intensive course covered all the essential elements of the science of reciting The Quran. 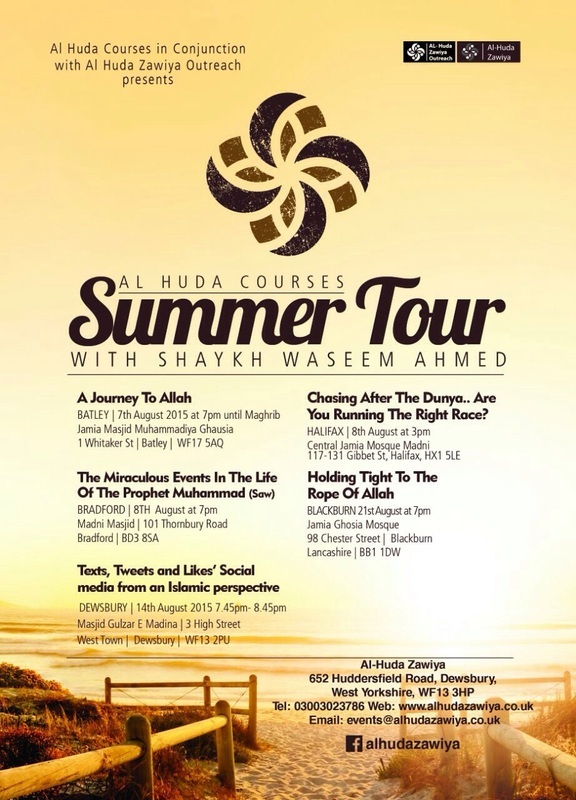 Our senior teacher Shaykh Waseem Ahmed visited towns and cities in the north of England August 2015 for a set of engaging talks on living Islam in the modern age. 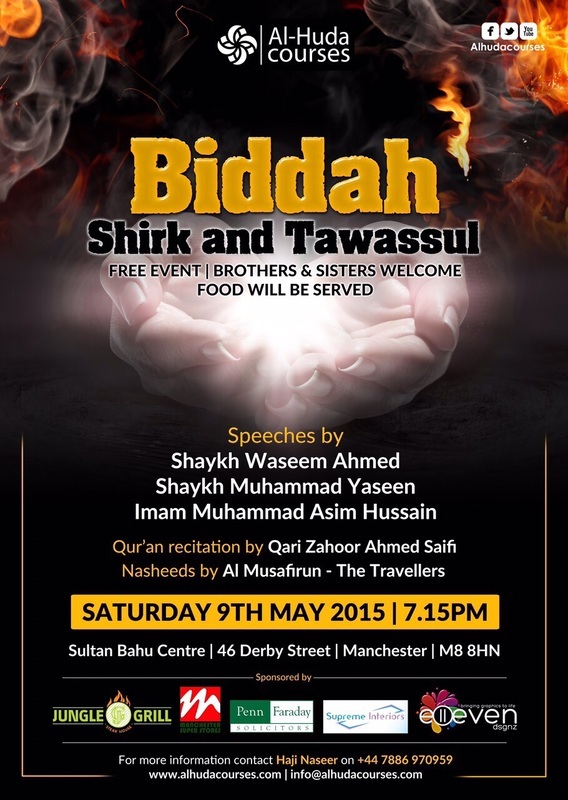 The talks were aimed at English speaking muslims brought up in western society looking to reconnect with their religion. 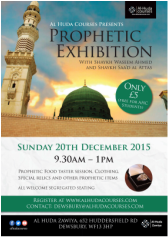 "There is no wasila greater than the wasila of the Prophetﷺ, The End!" 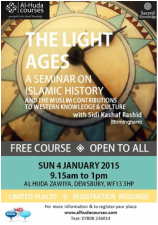 An exciting half day seminar, with an expert in this field, discusses the contributions of Muslims to civilisation. 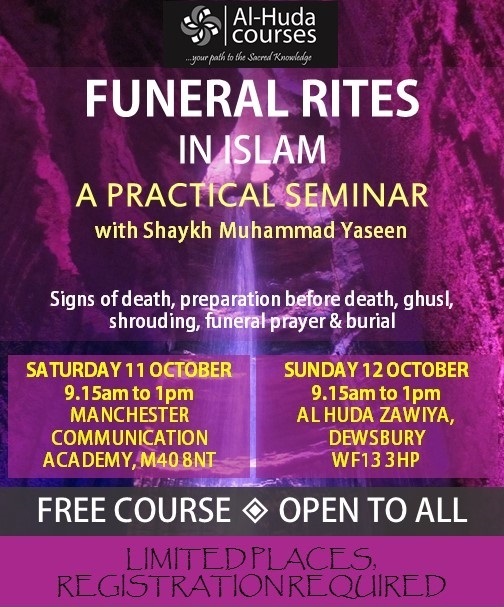 A half day seminar on the rites associated with death and funerals, including a practical demonstration of washing and shrouding﻿ of the body.